You're out of doors for your castle and don't have any wood? No problem. 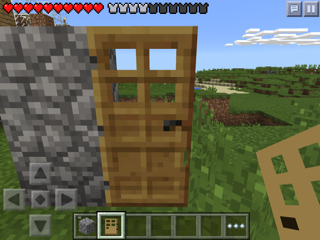 The unlimited door glitch will come to the rescue! 2. Break the bottom half of the door. 3. It will drop a door. Place the door underneath the broken door. You will still have the door in the inventory.